FRIDAY, Jan. 12, 2018 (HealthDay News) — Various factors can increase a senior’s chances of experiencing complications after surgery, but age apparently isn’t one of them. A review of 44 studies that included more than 12,000 people aged 60 and older found that frailty, mental impairment, depressive symptoms and smoking increased the risk for complications after surgery. Age did not. The researchers, from St. Michael’s Hospital in Toronto, also found no association between the risk for complications and a patient’s American Society of Anesthesiologists (ASA) status, which assesses a patient’s physical health before surgery. “The fact that age and ASA status were not risk factors for postoperative complications is somewhat surprising because these are the factors a clinician would typically look at when assessing a patient’s risk of developing complications after surgery,” study author Dr. Jennifer Watt said in a hospital news release. “Older adults are a diverse group of patients whose risk of postoperative complications is not solely defined by their age, co-morbidities (multiple health problems) or the type of surgical procedure they receive,” Watt said. “This study highlights how common postoperative complications are among older adults undergoing elective surgery, and the importance of geriatric syndromes, including frailty, in identifying older adults who may be at risk,” she said. Identifying and addressing risk factors before surgery — especially smoking and depressive symptoms, Watt said — could be helpful. “These factors could be targeted in the preoperative clinic, potentially leading to better outcomes for older adults undergoing elective surgery,” she said. Overall, 25 percent of the patients in the reviewed studies had some type of complication after surgery. The findings were published online Jan. 12 in the journal BMC Medicine. 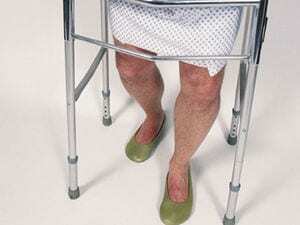 More on surgery risks for older people is available at SeniorLiving.Org.